Early last week, I posted a video sneak peek of my adventures diving the Great Barrier Reef. In this post, I share my very best and favorite photos taken with my Olympus Stylus TG-3 camera (waterproof up to 15m). It’s the camera I used for the video and it’s the same one I’ve been using since I started my travels over a year ago. I love this camera because it tells me how deep I am and warns me when I’m getting to its depth limit. As a result, I was able to take photos worry-free on nearly all 11 dives I did while living on board the ScubaPro III. Click to see each image in a larger view (and learn the names of what I captured!). These photos barely do the Great Barrier Reef justice. I hope they've illustrated, at least a little bit, the extent of this underwater wonderland's beauty. If you want to dive the Great Barrier Reef and capture amazing photos like this, read my review of the liveaboard experience. Want to see more underwater beauty? Check out the photos my dive instructor took while I got my certification on Ko Tao in Thailand! 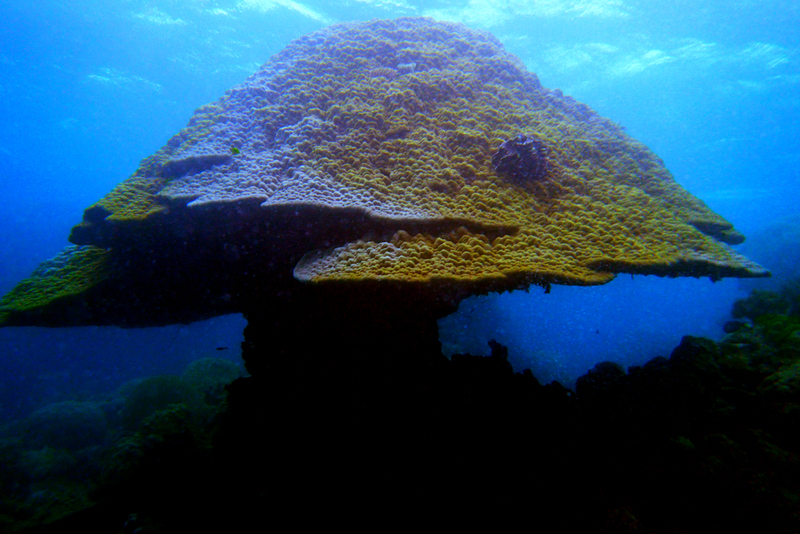 Or the photos snapped during my dives in the Bay of Islands, New Zealand. Soon, I'll be posting about my trip to Niue Island including the 4 dives I did there. The visibility underwater surrounding the island gets up to 100m! It's unbelievable!!! Stay tuned!